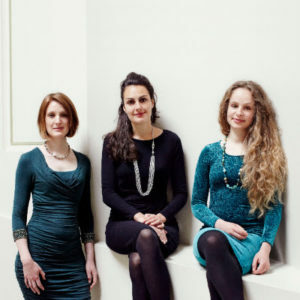 Cellist Matt Haimovitz & vocal trio Voice perform new arrangements by Marcus Davidson at a Shakespeare-themed programme traversing the centuries, from Hildegard of Bingen to Leonard Cohen at Dalston Old Boys Club on Sunday, 7th August. Cellist Matt Haimovitz, a “remarkable virtuoso” who “never turns in a predictable performance” ( The New Yorker ), and the unique trio Voice bring their new “delightfully inventive” ( Portland Press Herald ) collaboration to the UK, following their successful tour of the USA in February 2016. Concert details here.